In this “Generation Gap” video hosted by Davin and Matt, two very different cars have been for this “Classic Cult” topic. For Davin, it was a 1967 Chevrolet Corvair Monza Convertible versus Matt’s pick, a 1986 Pontiac Fiero SE. Matt and Davin test drive both of these cars and discuss the passion and following behind each one. The ’67 Corvair Monza Convertible was manufactured from 1960-1969 and 1,835,170 were produced. It was the only American-designed, mass-produced car with an air-cooled rear engine. Although many were produced, the car has some hard to find parts such as the radiator and water temperature gauge. The lead engineer of the Chevy V8 was also the lead engineer behind the Corvair. According to Davin, the Corvair may have had a poor reputation for ill-handling, but a bigger safety concern was the heater core rotting through causing someone to die of monoxide poisoning. With a rear engine, the car is very different than most ’60s classics. The weight distribution is different and it has been deemed “unsafe at any speed.” Although the guys didn’t seem to have any issues while driving it, the car took some getting used to. In regards to the ’86 Pontiac Fiero SE, only 370,168 were built from 1984-1988 and its the first and only mid-engine sports car produced by a U.S. manufacturer. The name Fiero means “Proud” in Italian, and “Fierce”, “Ferocious”, or “Wild” in Spanish. The Fiero was almost given the name Pegasus. These cars are popular for Lambos and Ferraris kit cars, and enthusiasts can stuff many different engines inside. For example, one popular swap is to swap out the four-cylinder for a Cadillac V8 Northstar engine or an LS4 V8, borrowed from the FWD W-bodies. 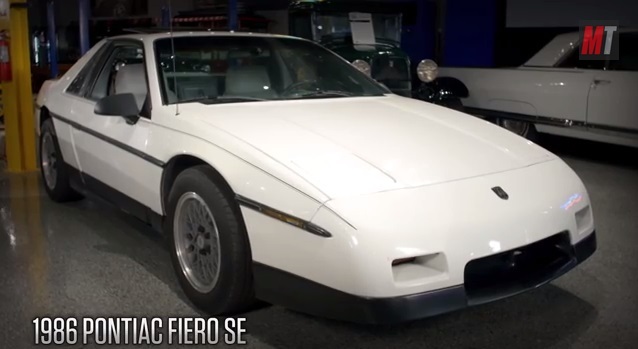 According to Matt, the Fiero was the second safest car you could buy behind a Volvo wagon. Standard Fiero brakes were also used by Chevette owners to upgrade their brakes. Unlike the Corvair, many different Pontiac parts were used in the Fiero making them extremely easy to find. The Fiero has a terrible reputation for catching on fire, but out of 370,168 built, only 135 were actually involved. A mere .35% caused the Fiero’s reputation to plummet. In regards to performance, both cars were tied since the mid- and rear-engines and took some getting used to. When it came down to collectibility, it was the Corvair being a ’60s classic. Ease of ownership goes to the Fiero with parts being easy to find in case something gives out. 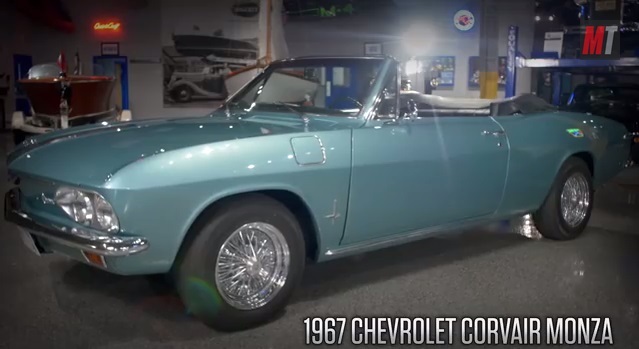 When it comes to looks, the Corvair takes the cake with its old-school creased lines and classic style. For passion, the Fiero owned it being a car that has more of a following. Overall, the cars were tied in points. So, out of these two cars, which one would you choose: rear-engine V8 Corvair or four-cylinder mid-engine Fiero?